I’m not a doctor, and what follows only refers to my own experience. Once you are diagnosed, you’re back to the neurologist with a prescription for two pills and physiotherapy. The first of these pills is Riluzole. It seems that its exact mechanism is still unknown, according to the big boss of the ALS center I depend on. Basically, we don’t really know how, but it works. So what are the benefits of this treatment? It would delay for some months the onset of respiratory failure. Sadly, this is all that medicine can give us for now. With such meagre benefits, it’s then good to look into possible side effects. Just like me, you probably read them on the label. Nothing scary, except that a liver follow up through blood sampling is necessary. Apparently, the liver has troubles tolerating this molecule, especially if it is already weakened. I’ll let you do the proper risk/benefit pondering. For people who, like me, are already at a very advanced stage of the disease, post respiratory failure and under ventilator, this medication has no use anymore. Some neurologists still carry on prescribing it, nevermind consistency with its intended use. The “You’ll never know” motto being enforced, why not. The second pill is Baclofen, used in the treatment of alcoholism withdrawal symptom as well. It’s a muscle relaxant. One of ALS’s symptoms being muscular issues (cramps, spasticity, fasciculations…), Baclofen works quite well against these inconveniences. In my opinion, which only refers to myself once again; fighting against the symptoms, no matter which disease, is one of the paradoxes of modern medicine. Except when they are very detrimental to the patient’s well being, of course. Symptoms are the answers of our bodies to a problem, and they’re here for a reason. When we try to fight them, we are fighting our own defense system. For example, we know that fever kills bugs, yet we fight against it. Baclofen stops our muscles for more comfort, when we are fighting against a disease that wants to stop our muscles. Yes, it’s a paradox. If our body “moves” our muscles, it’s to make them work to delay and prevent them to stop forever. But how did people who decided that this pill would systematically be prescribed after an ALS diagnostic couldn’t see that blatant fact? Questions could be raised on their skills or ethics. If this pill is not vital for you, stop it. When I stopped it myself, little by little, I did not feel a difference comfort-wise. 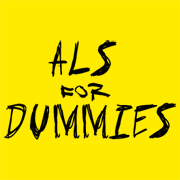 Many treatments exists for peripheral ALS-linked inconveniences. And for the ones who decided to live a long time despite the disease, it makes no sense to take chemicals for the rest of our lives. I’m thinking of Scopolamine and Atropine, which I refer to in the article about salivation. However, if some chemicals actually give you some benefits, I suggest you try to find a natural equivalent. For example, if you take Tocopherols, you can replace them by borage oil: same effect, but way less refined. This is already a tough challenge to fight, you don’t necessarily want to add too many chemicals on top of that. As for research, it develops at its own pace, but the last breakthroughs are quite encouraging. Especially on the side of molecular biologists focused on fundamental research in Strasbourg’s C.N.R.S. in association with Harvard University. Amazing and very skilled teams work for us too around the whole world. 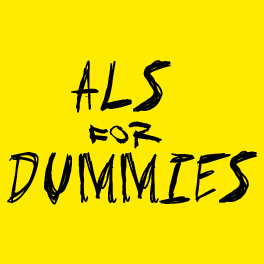 The means engaged are now substantial, which would tend to prove that ALS is not, or is not anymore, an orphan disease. It is true that the number of cases increases every year. Personally, I do not obsess on it, but I have high hopes. One day, we will make it.